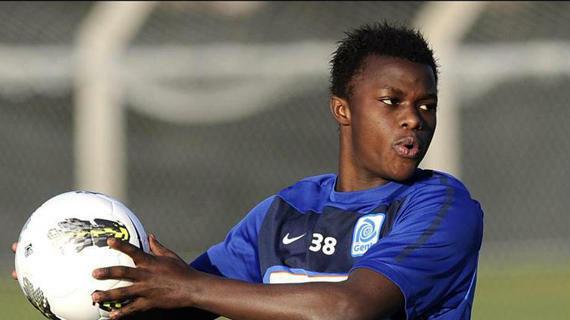 Kenyan striker Ayub Timbe Masika came on for the last seven minutes of the game for Jose Nadson as his side KRC Genk picked a crucial away point against Zulte-Waregem in the Belgian Jupiler Pro League on Sunday.This was his first appearance for the senior Genk side in the Belgian top league. After a barren first half at Regenboogstadion Stadium,Jens Naessens broke the deadlock when he finished off Frankc Berrier's cross. The host seemed on course to secure the three points but Jeroen Simaeys grabbed an injury minutes goal to level the score line and secure the single point for the reigning champions. Despite the draw,Genk dropped to seventh spot in the League standings. The club now has 31 points from 20 games. Timbe's contract terms were renewed last week (see related link below).His recent form for the club especially during a tour in Turkey has impressed coach Mario Been. A nagging injury kept him out of first team action during the first leg of the season. According to those who have played alongside or against him, 19-year old Timbe is rated as one of the finest strikers from Kenya currently.